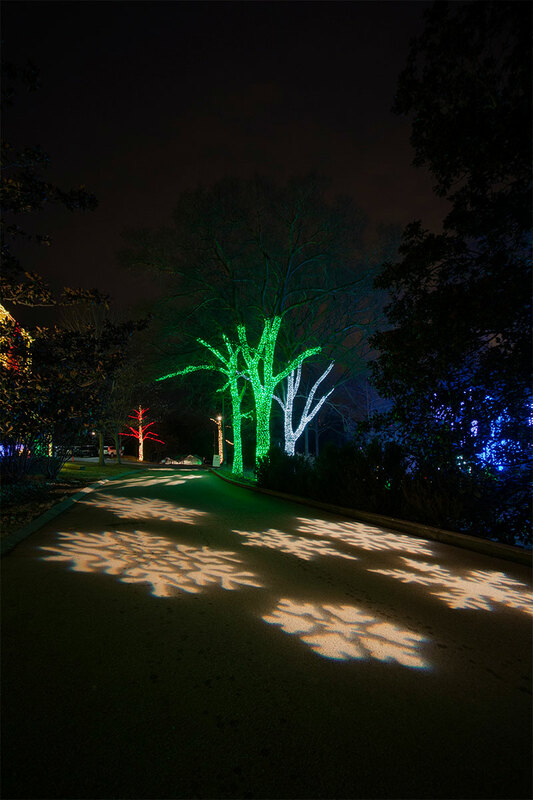 One important element of holiday outdoor lighting is tree lighting. 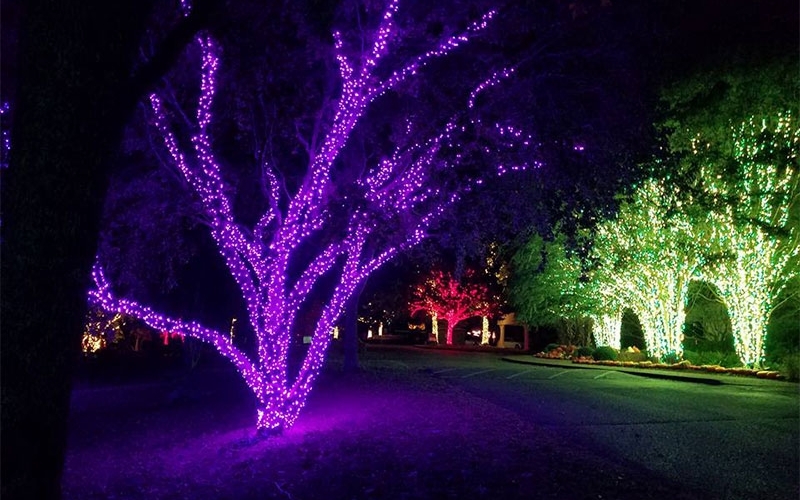 Whether you choose to illuminate select trees within your lawn and landscape, or groups of trees in unison to reflect the beauty and spirit of Christmas, we are the area tree lighting experts! 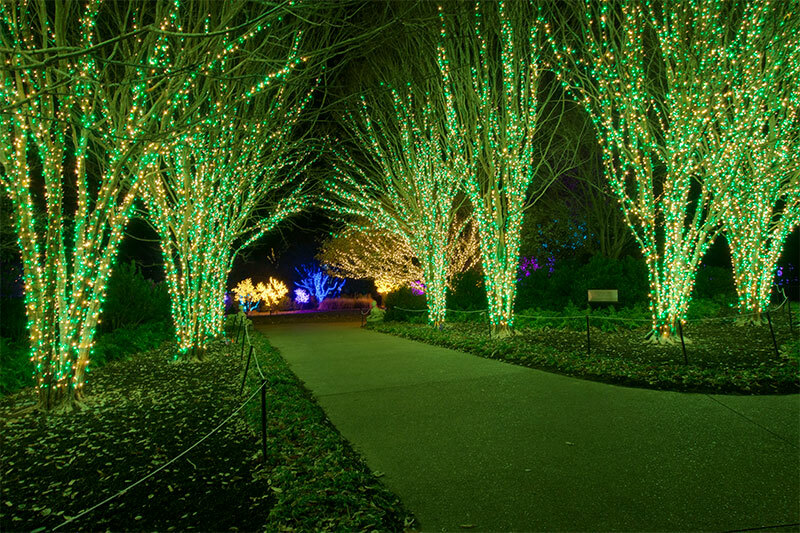 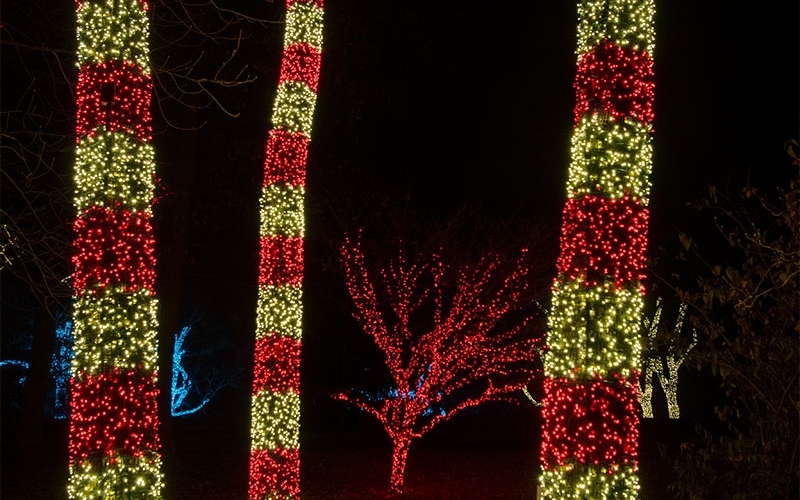 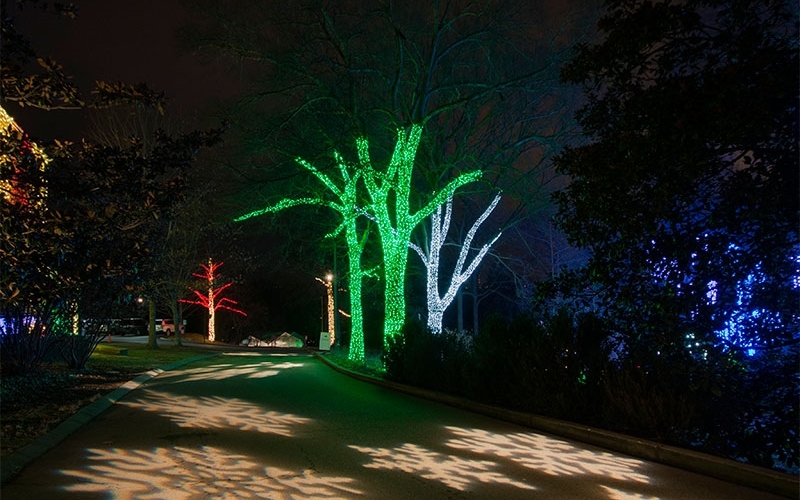 We have been breathing the magic of the holidays into trees all over the Nashville area for over 30 years. 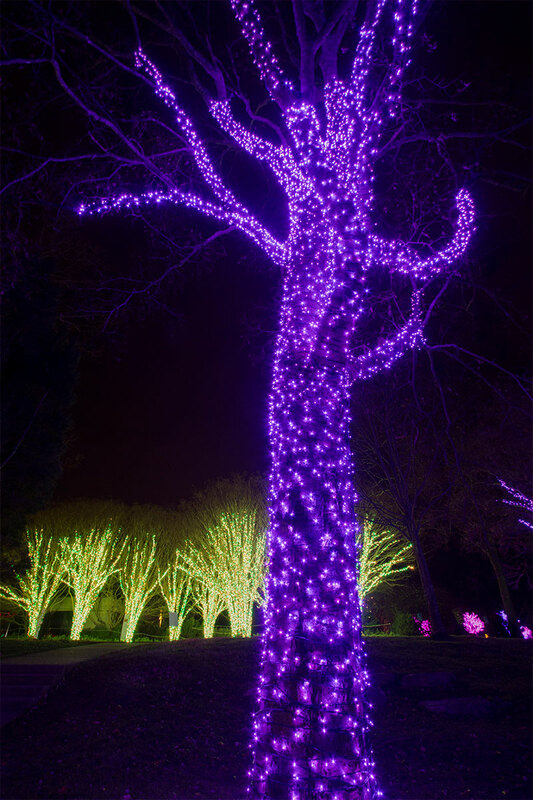 One of the most popular techniques is called tree wrapping. 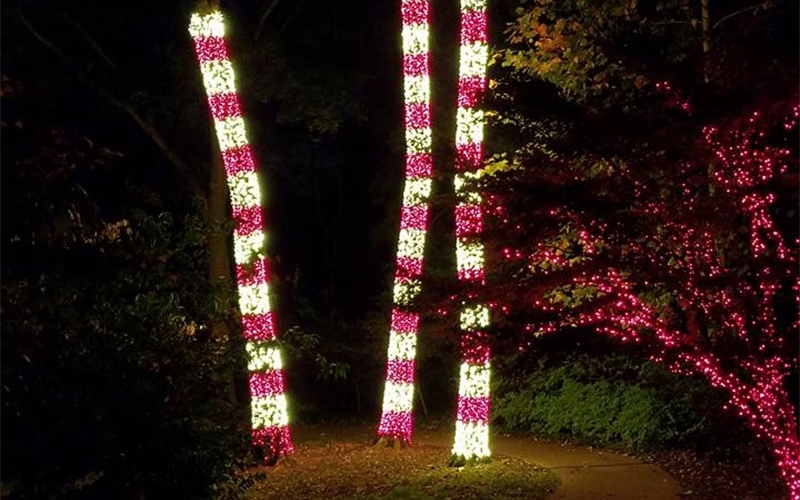 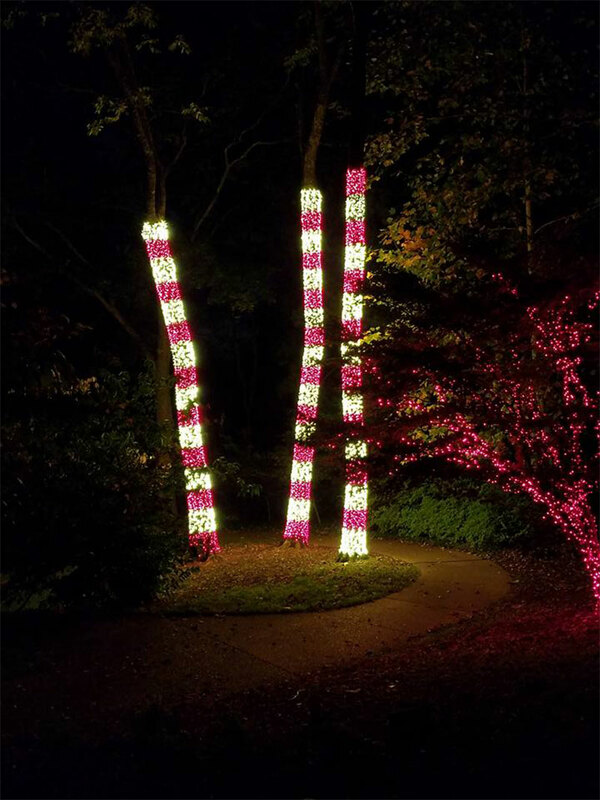 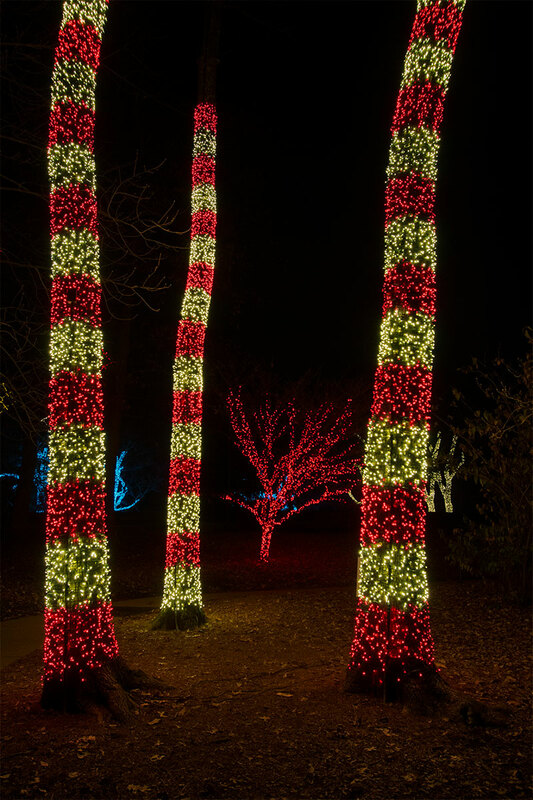 Wrapping exterior trees with holiday lights adds class and refinement to your landscape during the season and can also create a focal point of interest to your overall holiday lighting design. 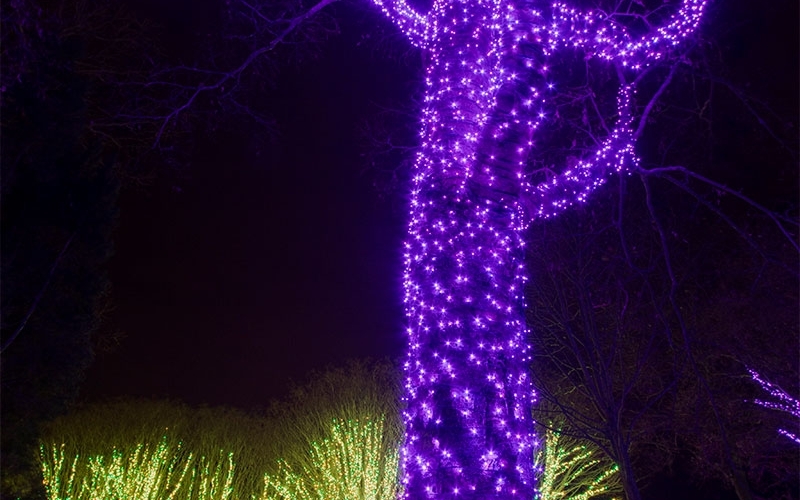 Another fan favorite is focal point tree lighting. 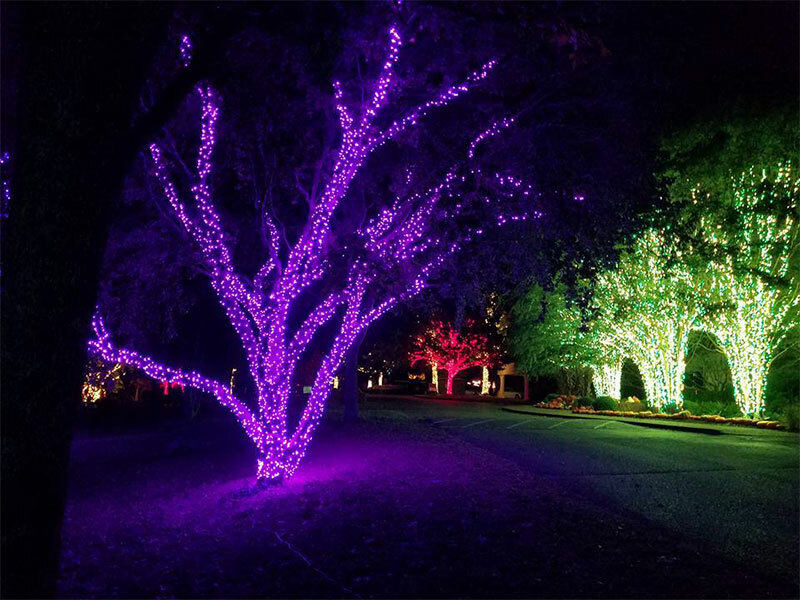 This can be achieved through adding colored lens covers/filters to your existing up lighting fixtures of through the use of color saturation LED outdoor lighting RGB technology.